Loud music killed the vibe ...especially when there was different music from the kitchen and the speakers in the restaurant... it was very difficult to have a conversation ! Pizza dough amazing, although I think I preferred the old menu options! The waiter from California provided great service. Easy to book online. Staff were  friendly, happy and attentive. Pizzas were great. Booked in before 5pm and any pizza is only £5. Fantastic value. Very disappointing visit. To start we could hardly hear our waitress as the music was ridiculously loud. This meant I had to shout at my guest for most of the night. The pizza did come promptly but was very poorly presented. Firstly, large chunks of the pizza were completely bare - no cheese or tomato on them. It was also cold! I would have complained to my waitress but we could not get her attention for ages and she did not check back until we’d basically finished. Our bill was then presented to us even though we planned on buying more drinks! I was tempted to just pay and leave but my friend got the attention of a different waitress who was very apologetic about this rudeness. 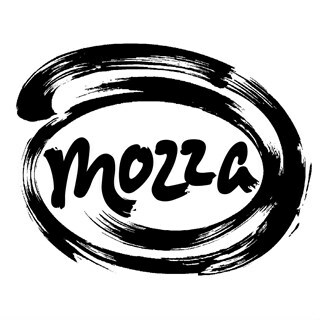 I have been to Mozza about 3 times before and never have I had this kind of experience. I don’t plan on returning any time soon. People who served us were polite and had a sense of humour. Pizzas were lovely and served quickly. All in all great! Excellent pizza and very child friendly. Great service and fantastic prices. First visit but will definitely be back soon! Delicious pizzas , my daughter and friends celebrated her birthday there and had a lovely lunch. Thank you. The pizzas were very nice, soft nan type base was great with all the vegetables on the chefs surprise, and any dietary special requests were accommodated with ease, disappointed that couldn’t have wine due to a temporary licensing issue! Our server was lovely and friendly but a few times had to ‘search’ for a server for more drinks, dessert menu, clear the table, so more attentitive would improve the service even more, but would go back and recommend! Great venue with fab pizza!! Marvellous food and great service, we'll be back! No complaints- waitress was really good, big table of 9 of us. Lovely coffee too! Genuine Italian pizza made and served by genuine Italians. It does not get any better than this! Pizza was ace, staff were awesome. £5 a pizza is the unbelievable value. Don’t miss this! Amazing food and was very nice that so many of the staff were native Italians. Everything was brilliant - my only comment would be a wider range of pizzas on the menu. That being said I really enjoyed my experience and would visit again and recommend to a friend. Service at Mozza Dundee was great, so friendly and efficient. Would highly recommend for any office Christmas lunches! Thank you! It was very early when we ate, so I guess, in fairness, we couldn’t expect so great an atmosphere. Everything else was excellent and we’ll definitely eat at Mozzarella again.